Blonde in this City: Happy Fourth of July! Wishing everyone a safe & happy holiday! 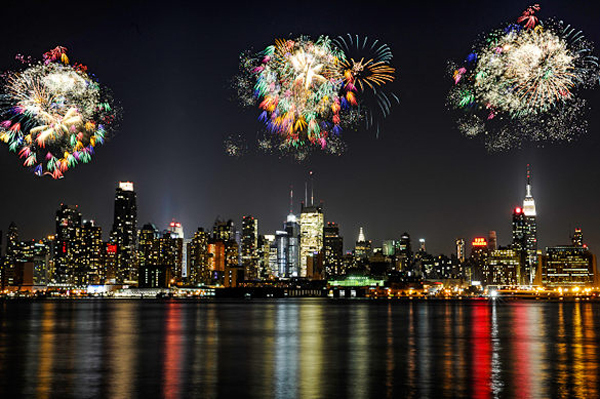 I'm heading out to Rockaways for the afternoon to relax on the beach with Jessica and a few friends, then perhaps scouting out somewhere I can catch a few of the fireworks (although I won't have near as spectacular a view as the photo above). I have to say, though, there's something about a Fourth in Iowa when you get to light off your own (ahem, illegally obtained) fireworks. Hopefully one of these years I'll be back again for that. Here's to a great (long) weekend! Gorgeous photo, I hope you've have a fabulous independence day!